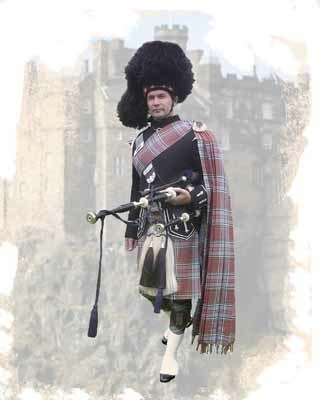 Brian Anderson is a first class, professional Scottish piper for hire. He is in demand throughout the UK and enjoys travelling abroad carrying the sound of the pipes to social and corporate events, weddings and funerals all around the globe. Currently based in Northumberland in the North of England, he has played the length and breadth of Scotland and England and has extensively travelled to America and Canada, Europe, Africa, the Middle and Far East. Avoid disappointment: book Brian Anderson now for your event or ceremony. 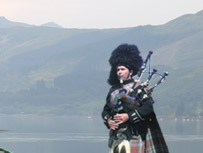 When you book Brian, you know you’re getting a piper with deep roots in the tradition of piping. Find out more about the influences and training that make Brian Anderson so passionate about the bagpipes and their music. Brian Anderson learnt to play, influenced by some legendary teachers and loves to pass on his knowledge. 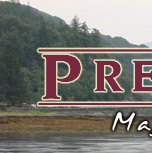 Find out about affordable and flexible ways to learn the bagpipes.